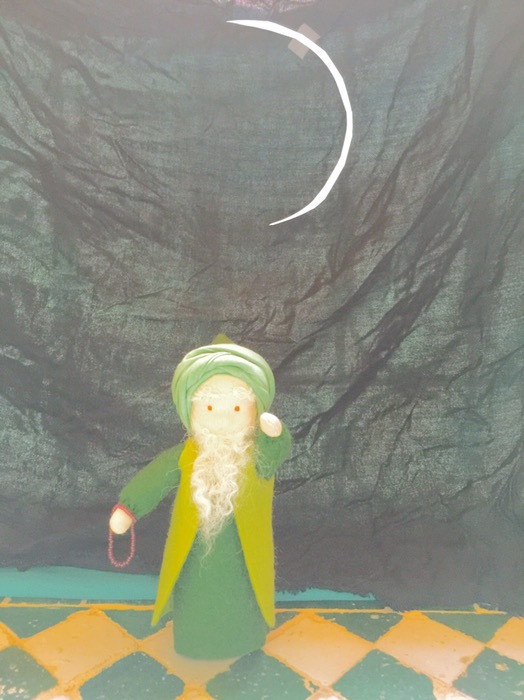 This post is part of our series for Ramadan where our little dervish Dolls teaches us about the rites of Ramadan and the blessings of Islam. Our intention with this series is to demonstrate different ways to use toys and creative play to educate and entertain Muslim children. Today our little dervish is showing us how we determine that Ramadan has begun and our month of fasting starts the next morning. We are looking for a manufacturer for these dolls so if you know of someone who would be interested please tell them to leave a contact in the comments of this post. Please share your ideas for teaching children about Islam with creative play.